Welcome to the Tornado Facts website. This website is an educational resource on tornadoes, which are one of the most violent weather events on our planet. We provide the latest and most credible facts on tornadoes. Our mission is to educate the public on tornadoes and through that education empower people with the knowledge they would need during a real tornado emergency. As meteorologists advance their research and studies on tornadoes we'll need to make periodic updates to the information on this website. We recommend bookmarking this website and checking back periodically to see if any tornado facts or tornado myths have been updated. It doesn't matter if you're a tornado enthusiast, student, teacher or meteorologist, we have the information you're looking for when it comes to tornadoes. This website is broken up into different sections to make it easier to find the tornado facts and information you're looking for. Below is a comprehensive list of all these sections and what you'll find in each one. If you find any factual errors on this website please contact us. Please remember tornadoes are extremely dangerous and unpredictable. 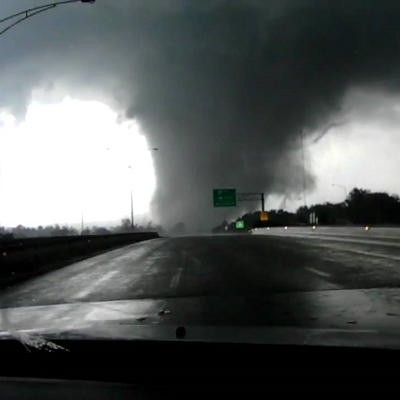 Only qualified trained individuals should attempt to photograph or video record a tornado. If you're ready to start research tornado facts and information you can get started below. General Tornado Facts - Basic facts and information related to tornadoes. Tornado Scale - Information on the Fujita and Enhanced Fujita tornado scale and rating system. Tornado Facts for Kids - Tornado related facts that are specifically geared towards kids. 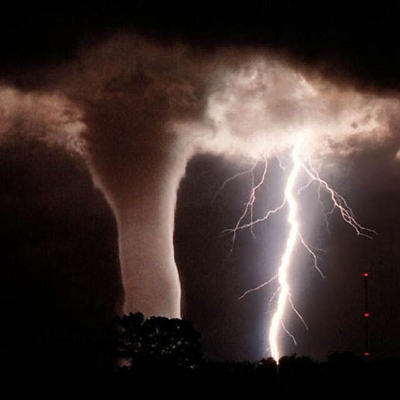 Tornado Fun Facts - Fun and interesting facts about tornadoes. Tornado Alley Facts - Facts related to U.S. region known as tornado alley. Dixie Alley Facts - Facts related to U.S. region known as dixie alley. Tornado Myths - Myths and misconceptions related to tornadoes. Tri State Tornado Facts - Facts regarding the infamous 1925 Tri State Tornado. Tornado Safety Facts - Tornado safety facts, tips and information. Glossary of Tornado Terms - Learn about all the terminology used when talking about tornadoes. Tornado Resources - Additional educational resources for information on tornadoes. Did you know a tornado is also sometimes referred to as a twister or a cyclone? There are lots of fun tornado facts that would blow your mind. You just need to separate tornado fact from tornado myth. We invite you to explore our website and increase your knowledge on this violent, but intriguing weather event. Information on this website was pulled from sources such as Wikipedia, NOAA and The Tornado Project.